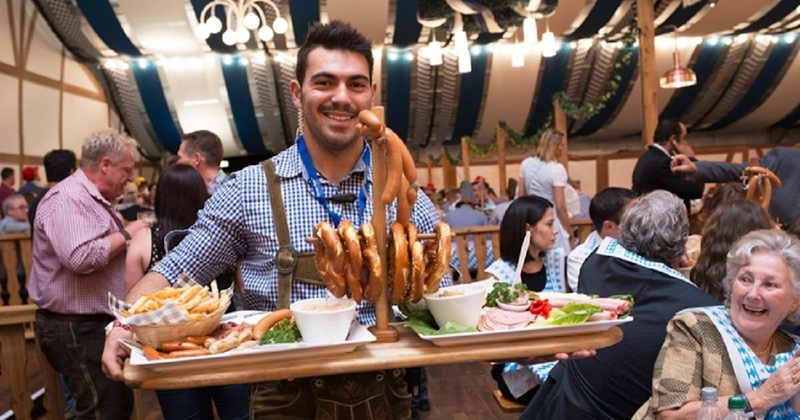 This is an Oktoberfest must! 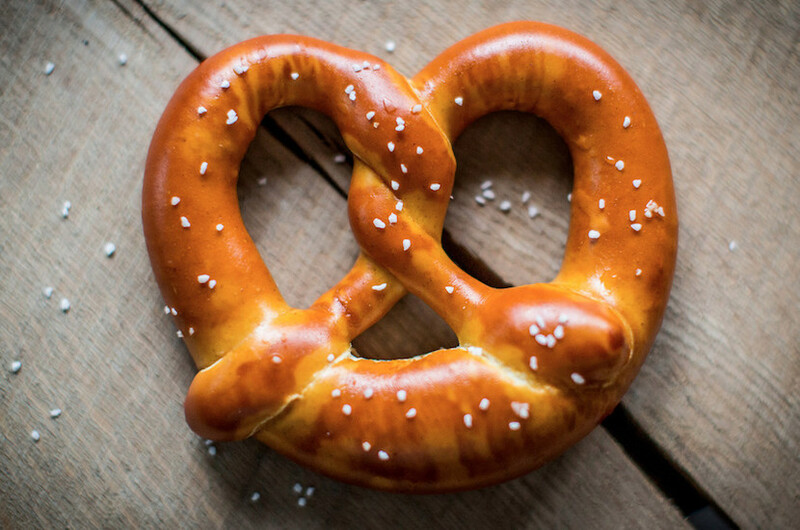 Bavarian pretzels are dipped in a lye solution before they are baked. Lye (a.k.a. sodium hydroxide), is the same solution that is used to make soap and clean drains. Weisswurst is a traditional German/Bavarian sausage made from minced veal and pork back bacon. 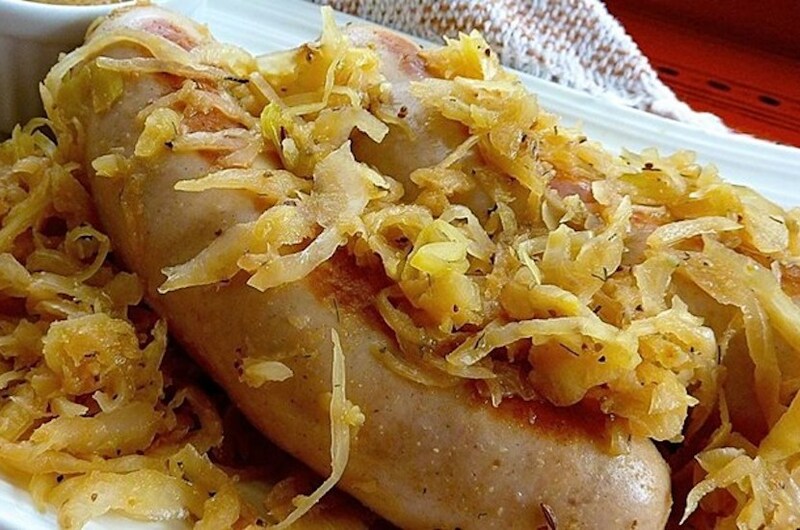 These sausages are usually flavoured with lemon, onions, ginger, and parsley. Bratwurst is a type of German sausage made from veal, beef, or most commonly pork. 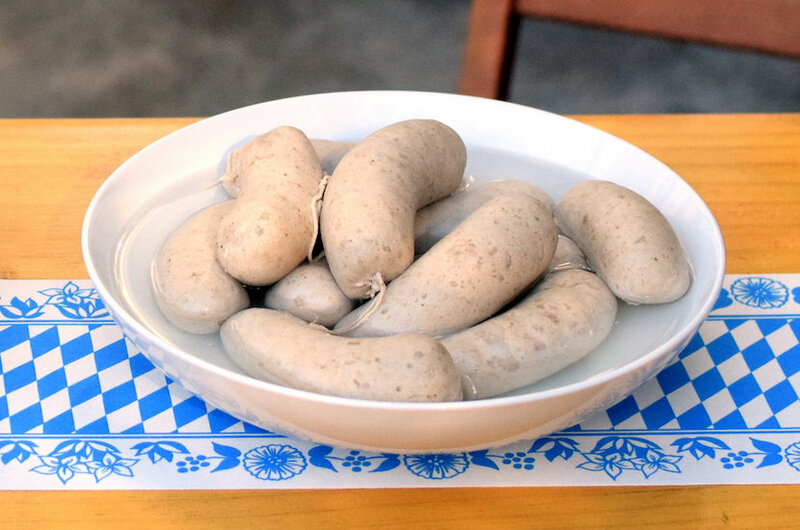 The name is derived from the Old High German Brätwurst, from brät-, finely chopped meat, and Wurst, sausage, although in modern German it is often associated with the verb braten, to pan fry or roast. Currywurst is a popular “fast food” meal in Berlin, Germany. This dish consists of steamed, then fried port sausage, and seasoned with curry ketchup. 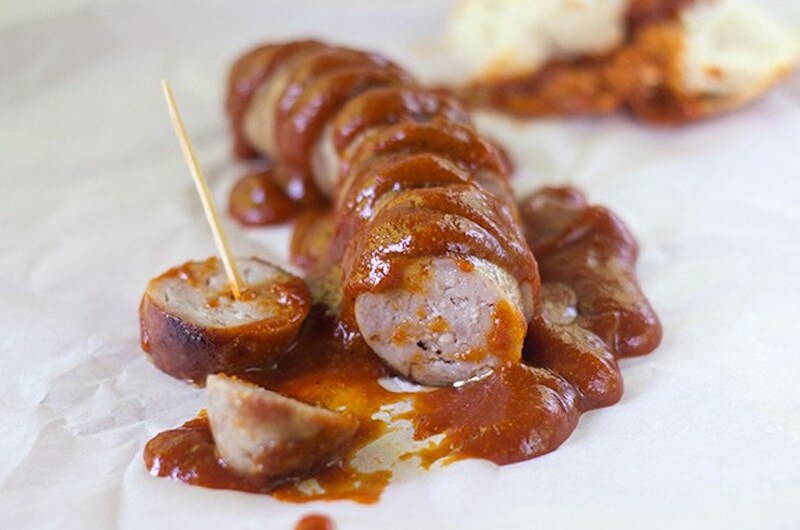 You’ll be sure to find Currywurst at Oktoberfest! 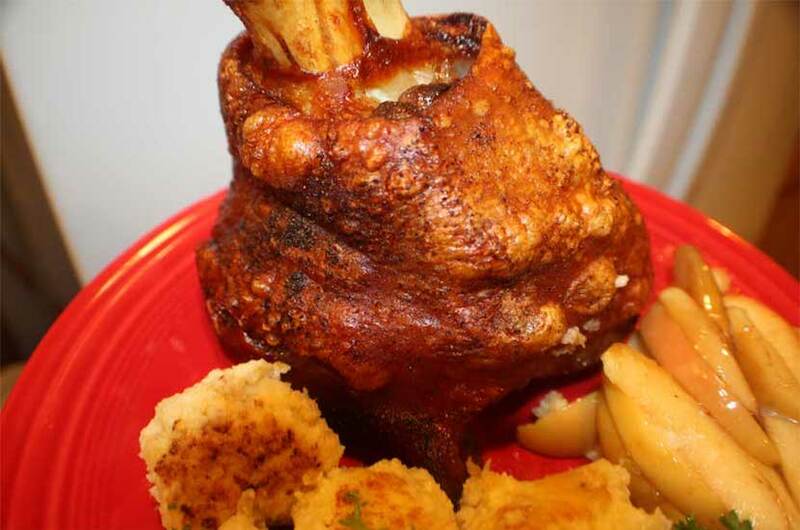 Traditional, German Schweinshaxe is a roasted ham hock. The ham hock is the end of the pig’s leg. German/Bavarian Schweinshaxe is a popular Oktoberfest meal. Schweinsbraten is a traditional meal in Austria and Bavaria. 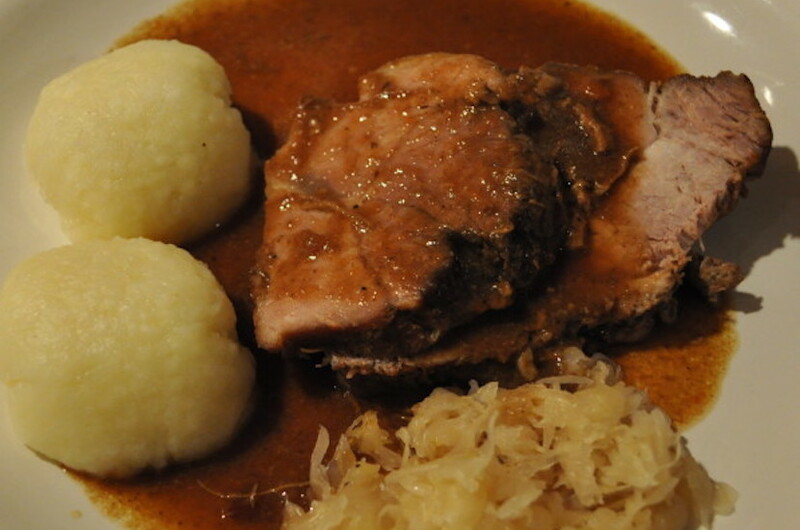 Schweinsbraten is typically made with pork cooked in beer, with potatoes and onions on the side. Dampfnudel (literally steamed noodles) are German steamed rolls. They are made from a yeast dough, then cooked in a tightly closed pot with butter and water (or milk). 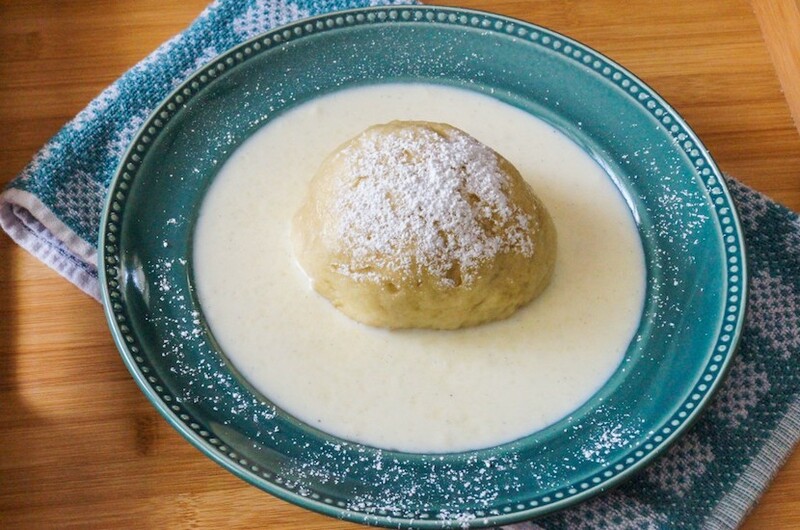 Dampfnudel can be savory or sweet. Even the sweet varieties are often served as meals. 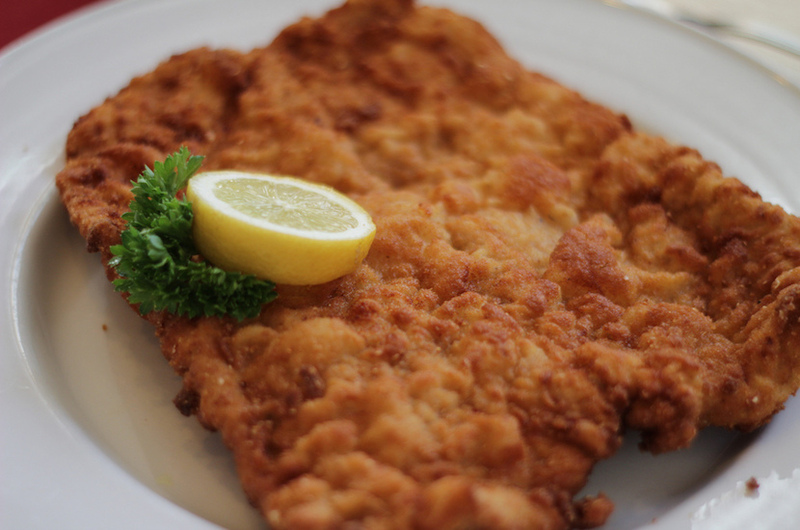 Wiener schnitzel, sometimes spelled Wienerschnitzel, is a type of schnitzel made of a thin, breaded, pan-fried veal cutlet. It is one of the best known specialities of Germany and one of the national dishes of Austria. 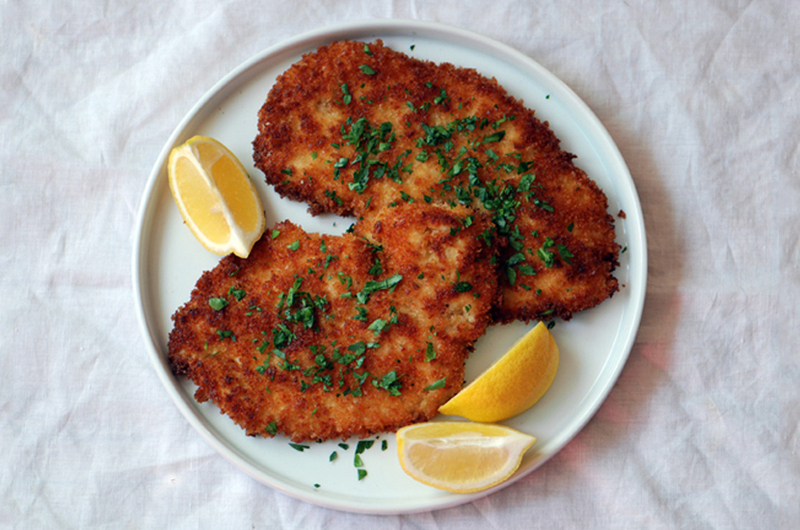 Chicken Schnitzel is a popular and tasty meal served throughout Austria. 10. Sauerkraut – it wouldn’t be German without fermented cabbage! 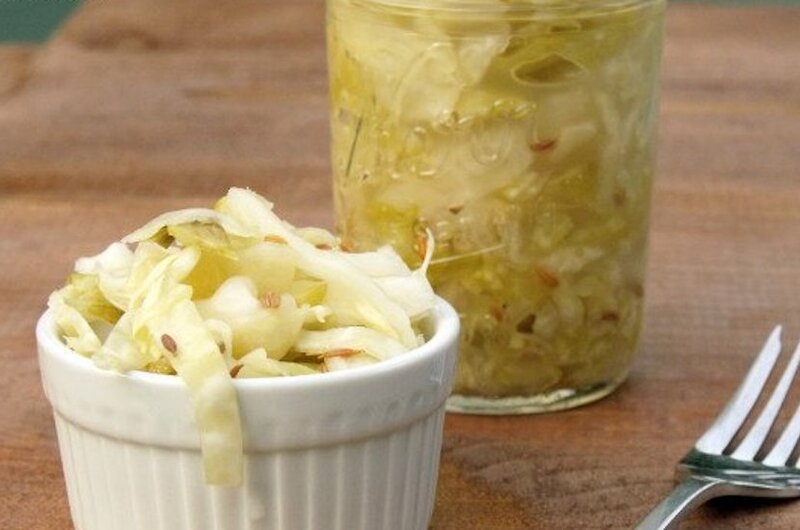 Sauerkraut is finely cut cabbage that has been fermented by various lactic acid bacteria. It has a long shelf life and a distinctive sour flavor, both of which result from the lactic acid that forms when the bacteria ferment the sugars in the cabbage. 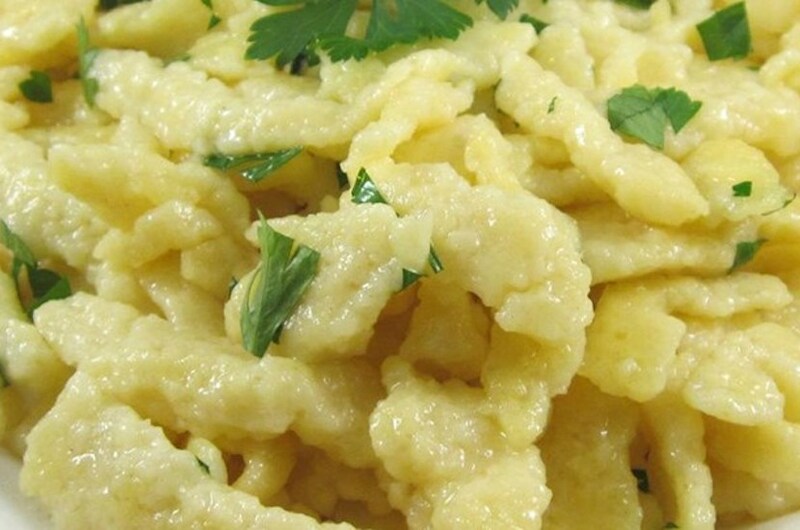 Spätzle are a kind of soft egg noodle found in the cuisines of southern Germany and Austria, Switzerland, Hungary, Alsace, Moselle and South Tyrol. 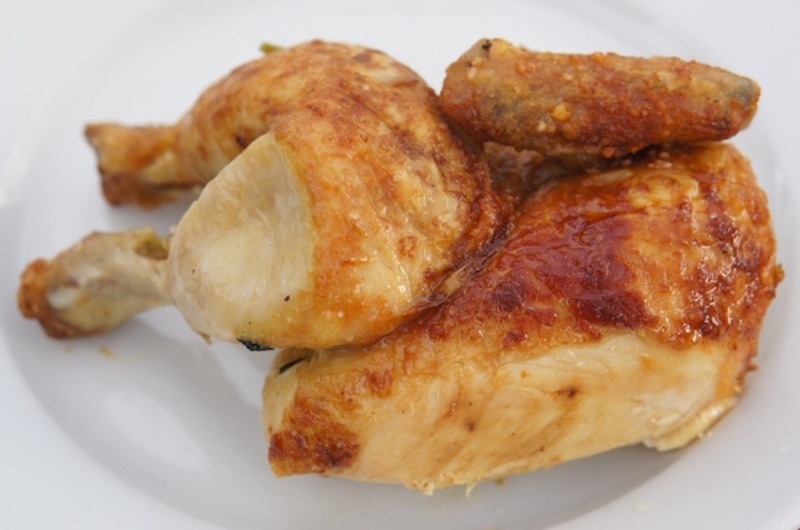 Hendl is a roasted chicken, also called Brathähnchen or Broiler in the eastern part of Germany. Many beer gardens offer Hendl. 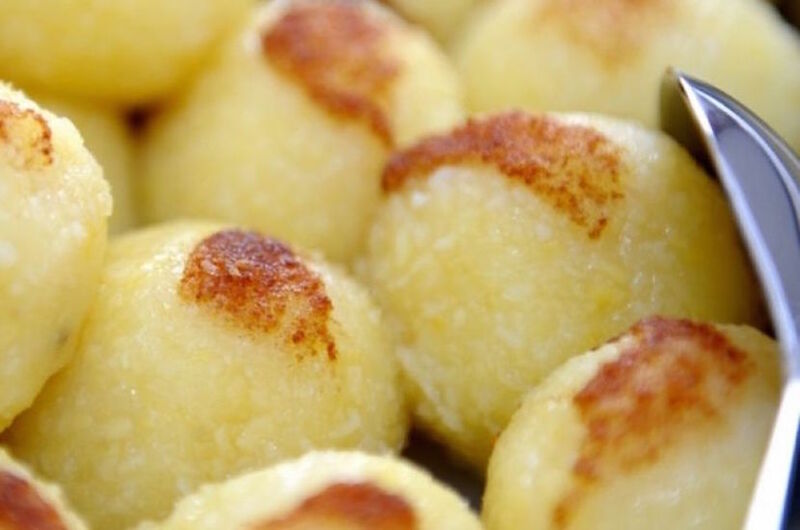 Knödel, or Klöße are boiled dumplings commonly found in Austria, Germany, Hungary, Serbia, Croatia, Slovakia and the Czech Republic. 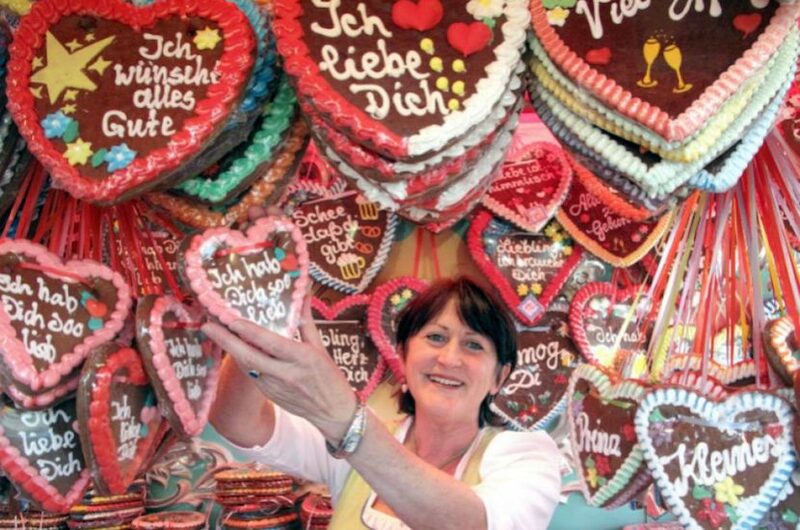 Lebkuchen as we know it today was first invented during the 13th century by monks residing in Franconia, Germany. 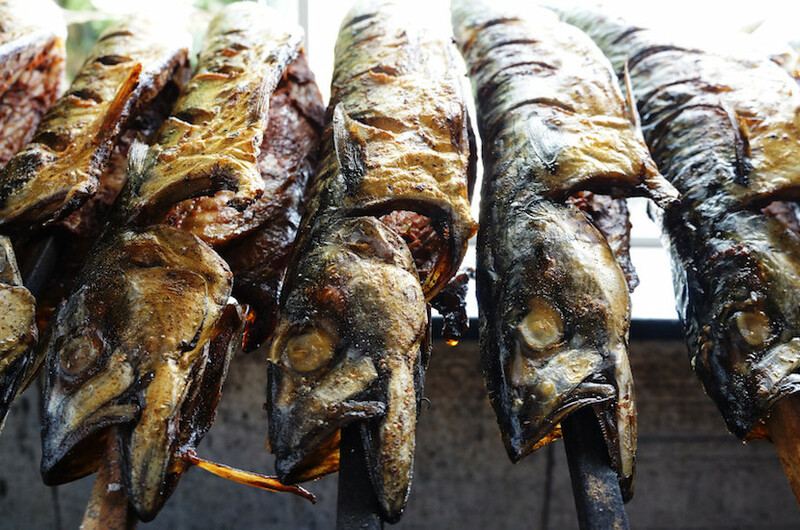 Steckerlfisch is a fish grilled on a stick in the traditional way of a fisherman or camper in Austria and Bavaria. The dish is commonly served in beer garden and on folk festivals and has nothing to do with the dried Stockfish. 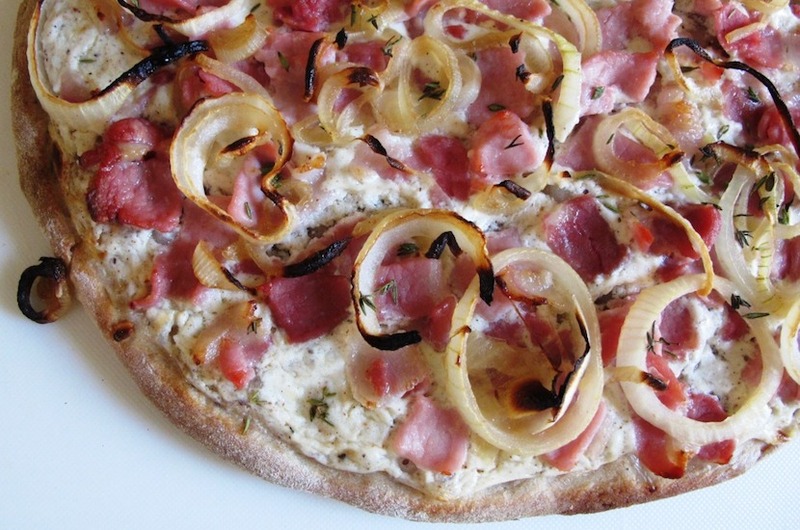 When most people think pizza, they think Italy, but Flammkuchen, a crispy and smoky German pizza, is definitely worth your time!